Gazprom received a survey work permit for two lines of the offshore segment of the Turkish Stream natural gas pipeline in Turkey’s territorial waters, the Russian gas holding said on Sept. 29. "We should note structural and operative interaction with the Turkish partners. Activities under the Turkish Stream project are implemented at an excellent pace," Chief Executive Officer of Gazprom Alexei Miller said in a comment. 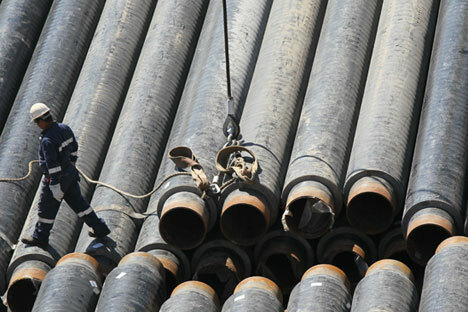 Gazprom reported in mid-September it had received the first permit from Turkish authorities for construction of the offshore segment of the Turkish Stream pipeline. How serious is the reconciliation between Russia and Turkey? The Turkish Stream pipeline was announced by the Russian authorities in December 2014 as a replacement for the South Stream pipeline. It was planned that the marine section of Turkish Stream would comprise four lines with the capacity of 15.75 billion cubic meters each. The pipeline is to run 660 km (410 miles) in the old South Stream corridor and 250 km (150 miles) in the new corridor in the direction of the European part of Turkey. The project’s total cost was estimated at 11.4 billion euro, with the cost of the first line amounting to 4.3 billion euro.